PlayStation Vita Games To Cost $39.99? 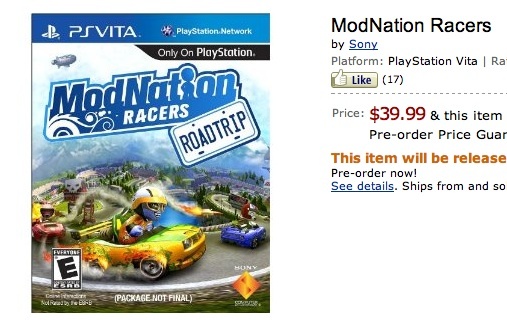 According to Amazon, you won't have to break the bank to enjoy near PS3 quality on the go. Sony fans have worried about the price of PlayStation Vita games ever since Sony announced the system, and for good reason. Certainly, a handheld that's almost on par with PlayStation 3 in terms of raw horsepower would result in $49.99 games, right? No so, says Amazon. Pre-orders began today for Vita, and the online giant lists all of the games for $39.99. Keep in mind that Sony has yet to officially reveal prices for all these games, and that third parties may charge more. That said, it would be great news, especially since the system costs $249 and $299, depending on whether you buy the Wi-Fi only or 3G models.